Have you discovered this little gem yet? Driving down Stephenson, you'd likely pass on by the Toucan Cafe due to lack of curb appeal. A small, off-white house that looks abandoned sits next to the restaurant sign... confusing to the first time visitor. The bland view from the road is a far cry from the colorful interior. 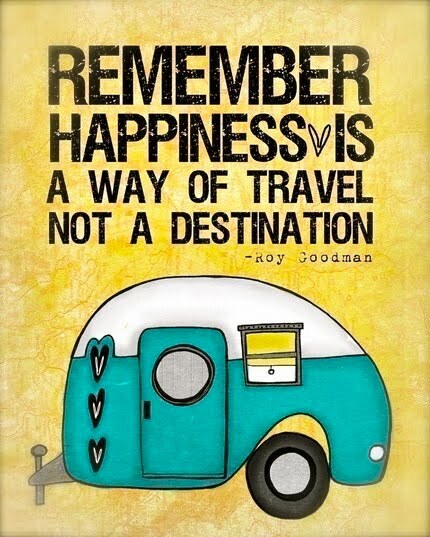 You will be pleasantly surprised IF you turn down the long narrow driveway and venture inside. The walls are bright and bold. Tables sport random animal prints. A bench just inside the door features a leafy tropical motif. Our eclectic dinner group met at Toucan Cafe on Friday night. While the remainder each chose a selection from the nightly specials list, my hubby, ever the rebel, chose the Black and Blue Shrimp Salad listed on the regular dinner menu. It was huge, fresh and loaded with stuff! Blackened shrimp and blue cheese dressing, dried cranberries, tomato, cucumber, walnuts, artichoke hearts. I requested a couple of bites... for research and reporting purposes, naturally. This reviewing thing does have it's perks! My Chile-Orange Salmon was perched on top of corn and black bean salsa over a fried piece of a tortilla. I requested the sauces be served on the side. Four arrived, the chimichurri being my fave. I found the portion to be just okay... I would have liked the salmon to be a bit larger. Mine was an end piece and sort of skimpy. It was however perfectly cooked to medium and very moist. The flavors melded nicely and I would order this dish again. Each person at the table enjoyed the item they ordered... from Skirt Steak with grilled shrimp to Moroccan Salmon to Filet Medallions. And let me tell you, the warm bread and herbed-garlic butter... mercy me! I could have eaten the entire basket full! It was a successful night all around. Unique atmosphere and original menu selections as well as excellent service. 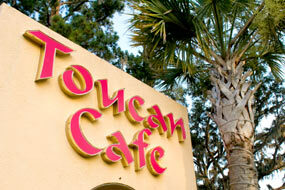 So, don't let the inconspicuous entrance fool you... Toucan Cafe is a hidden Southside Savannah treasure.